Have you ever wondered why the Wornall and Majors Houses have such haunted reputations? 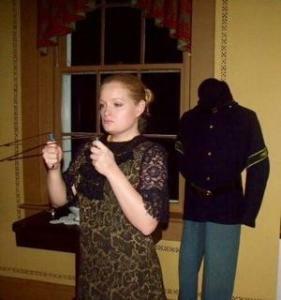 Learn what goes bump in the night at one of our upcoming Paranormal Investigations! These investigations only happen a few times per year, so don’t miss out. Limited space is available. These professionally-led investigations are run by Mystic Moms Paranomal. They will teach you how to use investigation tools or even tap into your own spiritual energy to connect with spirits. The Wornall House is often named one of the most haunted places in Kansas City. This family residence once served as a field hospital during the Battle of Westport. Rumored spirits include members of the Wornall family and Civil War soldiers. 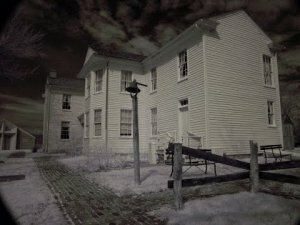 Although the Wornall House has a more ghostly reputation, many investigators say that the Majors House has just as much, or even more, paranormal activity than the Wornall House! You might make contact with Majors family members or the angry spirits said to reside in the blacksmith shop and kitchen.